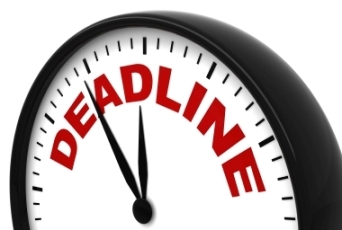 Thursday 31 January is the deadline for payment of Capital Gains Tax on disposals in December 2012. If you made a Capital Gain in December, you will need to calculate pay your Capital Gains Tax liability by 31 January. the sale of property or other assets. where insurance proceeds or another “capital sum” is received in respect of an asset. On this occasion, you need to take special care to ensure that you apply the correct CGT rate in calculating your liability. The Capital Gains Tax rate for the period from 1 to 5 December inclusive is 30% of the Capital Gain. An increased rate of 33%, applies on transactions from 6 December onwards, announced recently in Budget 2013 . If you are registered on the Revenue ROS system, you can process your payment online (which I recommend) and even pay by credit card (which I don’t recommend). If you expect to have a liability but don’t yet know the exact amount, you should still pay your best estimate by 31 January. To avoid interest charges, it may be wise to pay a little more than your expected liability. When your Capital Gains Tax position is finalised (ie when you file a 2012 Income Tax Form 11 or Capital Gains Tax Form CG1 Return by 31 October 2013), Revenue will bill you for any shortfall or refund you any overpayment. The Revenue.ie website includes some useful online guidance on Capital Gains Tax but I strongly recommend that you seek professional advice and assistance if you think that you may have a Capital Gains Tax liability. Some web designers work by communicating only byy email. stqrt demanding more of web desgners to attract attention from their spiders. Affiliate programs caan be used, however, for exstra traffic. Choosing the right method book to use is very important in teaching private instrumental music lessons. Show him or her how switching from spoons to chop sticks cann change thee sound. In case you are worried regarding the quality, your concerns are unfounded.